Moving to new premises is often a positive event, marking the growth of your company and potentially the broadening of your products and services. However, there are a number of practical issues that should be taken into account to ensure the moving process remains an exciting and smooth experience. To ensure your move is successful you need to plan as far in advance as possible. There are a number of areas that will require forethought, but your top priorities should include keeping your business and customers ticking over nicely during the moving process, and ensuring the move is as comfortable as possible for your employees. As part of the planning process, make sure you carefully measure your new office or business space early so you can plan your layout and order furniture in advance. Things to consider include chairs, desks, storage and filing cabinets. 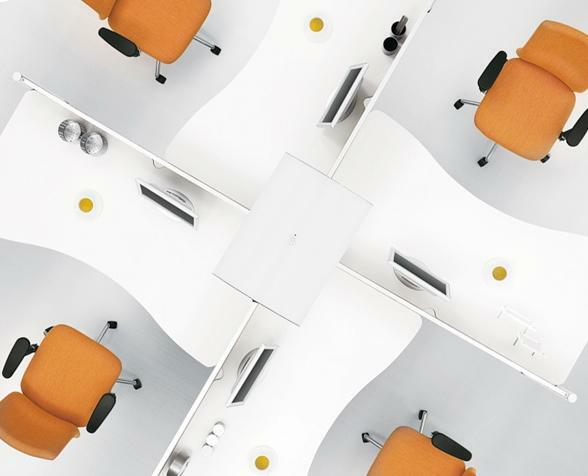 The choice of chairs is potentially the most important aspect of fitting out your new office due to the short and long-term effects they can have on your employees' health. Chairs that hold workers in a rigid position can result in bad backs or necks, and may even reduce productivity, too. One way to ensure your employees are feeling positive about the move is to involve them in the decision-making process and recognising any expenses they may face as a result of the move. If your move is forcing employees to relocate, expenses are likely to be one of the main factors affecting their view of the event. Offering to cover any work-related expenses could help to soften the blow. When it comes to involving employees, providing them with up-to-date information and briefing them on any changes to your plans will help to encourage their input, and so put a positive spin on the relocation. This could even apply right down to the choice of furniture, which is likely to be used by employees for many years and thus should be agreed upon by permanent staff. So you've informed your customers that you're moving and provided them with updated details, where applicable. However, a move can also be effectively used as a marketing opportunity by providing your company with a reason to boast about its success. By suggesting that you have outgrown your previous premises and require a larger space you can promote the idea that your firm is reliable and reputable, thus encouraging loyal customers to remain so. To ensure this is the case for the foreseeable future, it can also be beneficial to highlight your move in any marketing material you publish during the process and soon afterwards. Not only will the promotion of your move remind customers that you're now based elsewhere, but it will also provide an opportunity for self-promotion and remind former clients of your presence. Websites, social media accounts and other regularly updated material are the ideal place to begin advertising.